Meta Description Editor now lets you differentiate your meta descriptions on paginated subpages of categories, tags, and pages. 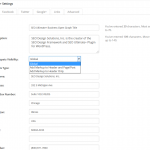 For example, you can use Meta Description Editor to automatically tack on “Page 2” to the end of the meta description of page 2 of a category archive. 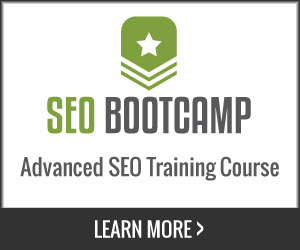 This new feature helps avoid “duplicate meta description” errors in Google Webmaster Tools. Great work, as usual! I’m always happy when you come out with new updates to this plugin! I have some questions on this new release. What are the cons of using the rel nofollow attribute? Should we try and stay away from using it as much as possible? What about declaring nofollow in the meta tags? Should we stay away from that, too? For instance, I would use a nofollow in the meta tags for a page dedicated to “Sponsor Links”. nofollow “when applied to links on the page” can evaporate page rank and send a signal that your own pages are not trusted, whereas using a noindex, follow (for keeping a page out of the index and links followed) or index, nofollow (to index a page but nofollow all links) are all distinct and have their own advantages (depending on the situation). To answer your question more directly, yes, you should try to stay away from nofollowing your own internal links (but you can still use them on outbound links on the page/link level). For the second part of the question, its ok to use meta level nofollow, just realize that all the links are still there for humans, but do not pass PageRank/link equity or bleed PR from your site/page. Our link mask module eliminates the need to use either of these (as all are seen as internal links). 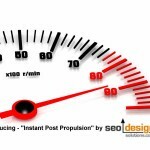 Hi, Just came across this plugin – first impressions are that it’s great! However, I don’t seem to be able to get the Link Mask functionality to work within our WP 3.3.1 MultiSite install running on NGINX. 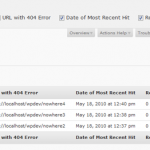 Requests for aliased pages just produce 404’s..
Any suggestions where to start troubleshooting? 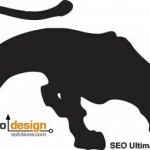 This function is designed for single site, usage (since .htacccess is integral) and multisite and individuals sites have different .htaccess rules. 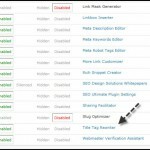 I can’t get the Meta Robot Tags Editor to work, I’m using the latest version of WP 3.3.1. Please help. 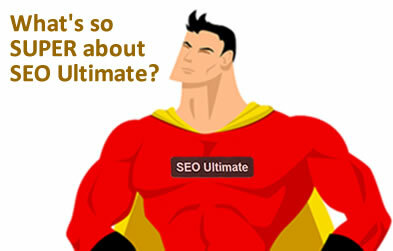 I will be posting some updated videos of SEO Ultimate and how to use it shortly. Isn’t “link masking” the same as “link cloaking” Jeffery, and doesn’t it have a Google penalization attached? Where you send traffic to is your business, no FUD fear of Google breach of terms please. As a matter of fact, they suggest to prevent links from passing ranking factor that you use a redirect behind a blocked folder (as an alternative to do follow links). 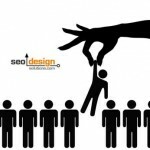 There is more than one method to apply linking and we are not cloaking content, so, on this one, I have to beg to differ. Can you send an email to [email protected] with (1) the version of wordpress you are using (2) what other plugins you have installed and (3) the description of the plugin (like you did here), so I can pass it on to our lead developer John Lamansky? Hmm… sounds promising. I think I’ll give this a try as soon as I can. I like what this has to offer. Should be useful in my daily blogging routine. 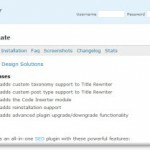 Just wondering why this plugin does not give the option to add keywords? You can add keywords under Misc. 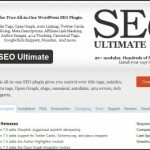 on right tab in SEO Ultimate module under page or post.